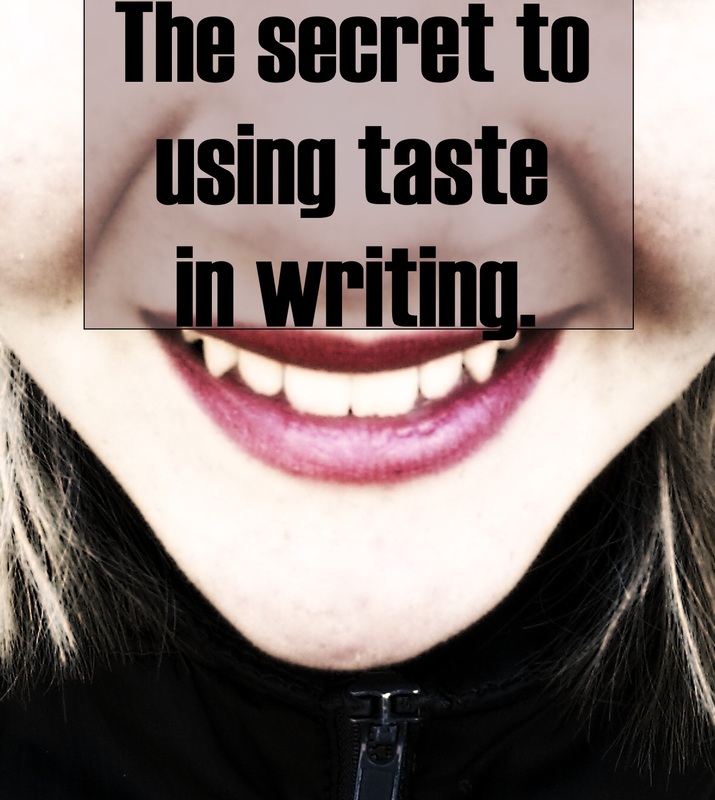 The secret to the sense of taste in writing. Over the past few weeks I have been writing about the five senses. I have written about sight, hearing, touch, and smell but today I’m writing about the sense of taste. The sense of taste is often called the missing sense because eating doesn’t always feature in writing which leads me to two questions. 1. Does literary characters even eat? 2. Is it really necessary to add taste. The answer to both of those is yes. Yes literary characters eat. Go look at Percy and his blue cake or Peeta and his bread. Also the sense of taste really helps readers relate to the characters. After all who can’t relate to someone eating? The fun thing about taste is that there are all kinds of ways to use it. Things you can do with the sense of taste. • Taste is a gateway to the past. Sometimes eating something can take you back to a specific time, a specific meal. You can use this to show a part of your character’s past. • Some emotions have a taste. You know how when you lose something the best way to describe how you feel is bitter. Or when you score points on a video game you would call it a sweet victory. So sometimes taste isn’t simply for food but for emotions as well. • You can also use it in descriptions by making reverences to things your readers could have tasted. If you say the walls were a puke green colour you give your readers that taste of puke even if just for a moment. With the simple word like this you leave them feeling disgusted by a simple object. I already said this but it’s true. When you describe your character enjoying a cup of coffee over half the world’s population would be able to relate to your character. And all the people who dislike coffee can still see that your character likes something and relate to the pure fact of liking something. I want to make this post a little different from my others since it is the last post in the series. So let me tell you what I’m going to do. I’ll continue with the theory and the HOW TO for now but I promise that there will be something cool at the bottom of this post. If you want to skip to that you can but you will most likely miss out on the important stuff. There is a whole list of words used to describe tastes. List of words to describe taste. This is just an example list I’m sure there is tons more words for taste. The best thing to keep in mind when writing about taste though is the four categories of sweet, sour, bitter and salty. Every taste can fall into one of these categories and affect the character and reader differently. Perhaps by now you think I’m mental because I say that the sense of taste affects the reader. Well I believe that it does. You know how when you are reading a book and the character rolls her eyes you just have to do it too. Well it’s sort of the same for taste. If the character tastes it the reader tastes it too. Most of the time it’s not really a big thing but when you say something is sweet your reader will taste this on the tip of their tong because that is where the taste buds for sweet things are. So when you are describing a taste you might want to add where it is being tasted. Which part of the tong tastes what? The tip of the tong as I already said tastes the sweet thing but also the salt. The sides of the tong taste the things that are sour. The back of the tong tastes the bitter things. Now remember that everything should be used in moderation. Describing in too much detail how something tastes is boring. After all I already know how a burger tastes so there is no reason to write two full pages about it. Taste descriptions is normally short. You mention how something smells, say the person bit into the food and give two or three words. That’s it. Alright it seems I have come to the fun part of the post. Let’s start this party with some random facts. • We have almost 10000 taste buds in our mouths. • Insects have the most highly developed sense of taste. • Fish can taste with their fins, tales and their mouths. • Girls have more taste buds then boys. Cool things from books that might be relevant to this post by proving taste and food plays important roles in stories. Well food plays an important part in most people’s lives and in quite a few books as well. In Percy Jackson, by Rick Riordan Percy’s mum makes blue deserts. “My mom’s funny that way, celebrating special occasions with blue food. I think it’s her way of saying anything is possible. Percy can pass seventh grade. Waffles can be blue. Little miracles like that.” – Percy Jackson and the lightning thief. I feel this says a lot about his mother’s character and it shows gives us insight into the feel of the story. In Way of Kings, by Brandon Sanderson you get the woman’s food which is sweet rice and fruit while the men’s food is meat with a spicy sauce. In these books social ranking plays an important part and it feels to me like this really helps show that difference. Another example from Brandon Sanderson is his Mistborn series. Here the things they swallow are the source of their power. In this case it’s not only used as a piece of world building but also the source for magic. Everyone knows about the bread in the hunger games. It was used to inspire Katniss to continue living. The bread itself is used as a symbol of hope. I have more examples but they mostly repeat what I have said so far. Here we can see that food can play a lot of roles in writing. Character, world building, magic system and object of hope. I know this post is about taste not food but I think it goes without telling that if the food is important how you describe it matters. That is why taste is important too. Writing exercise to close up with. Write a fight scene in which the sense of taste plays a role. Make sure that the tastes enhance and add to the scene. I don’t care what kind of fight it is. It can be anything from an argument to a fully fledged fantasy battle. I hope you guys enjoyed this post and found it at least a little useful. The sense of taste really is a lot of fun when you get a hand on it. Have you ever written a description using the sense of taste or have you never really thought about it?